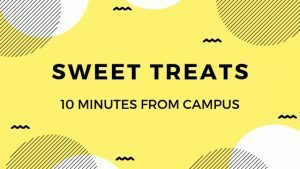 This churro stand is right on campus, at 355 Yonge Street by the SLC! 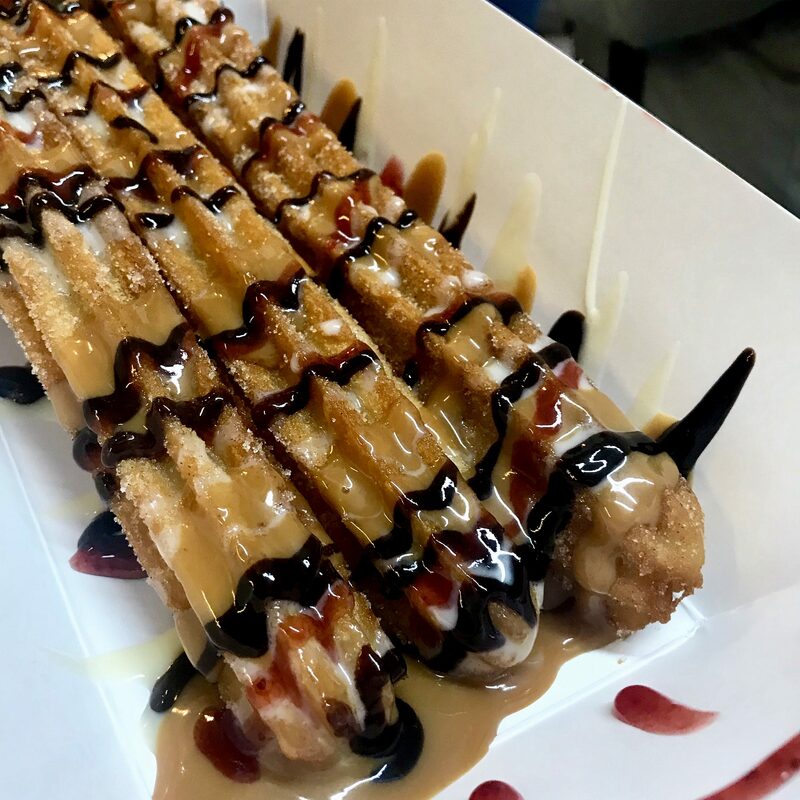 You can buy original cinnamon sugar churros ($5.50 for 3) or have your choice of so many toppings, including: vanilla, Nutella, blueberry, strawberry, and chocolate ($5 for 8 churros). 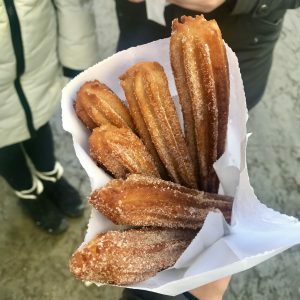 My personal favourite, is the combination of churros topped with dulce de leche and condensed milk. 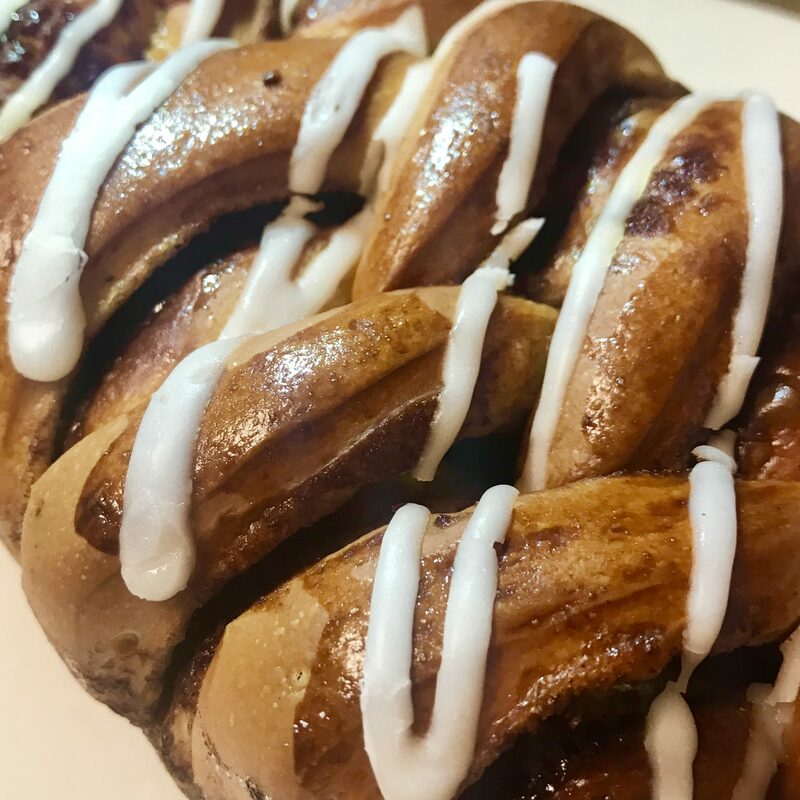 The Danish Pastry House is five minutes from campus, in the Eaton Centre at 220 Yonge Street, on level 2 near Dundas Station. It almost always has a line up and why wouldn’t it? Everything is made fresh daily and the smell is intoxicating. I tried the “kanelbrød”, which is essentially a cinnamon bun in loaf form ($6) and despite being fearful of the dough being dry, it actually wasn’t and tasted great! 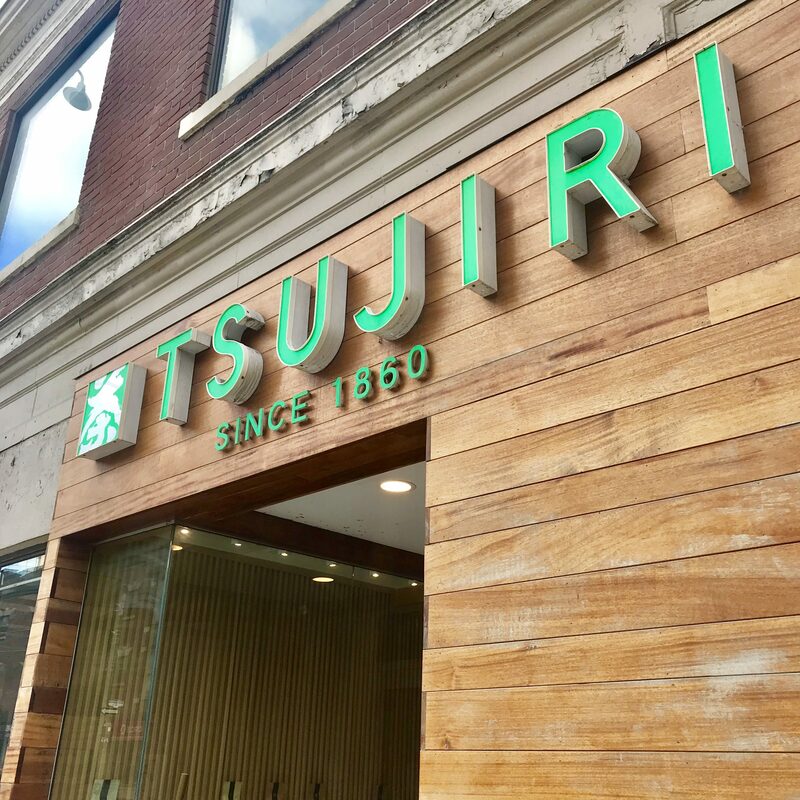 The famous, original Toronto location of Uncle Tetsu, is a short six minute walk from campus and is located on 598 Bay Street. 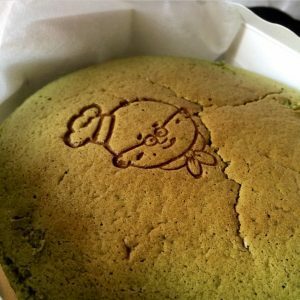 It’s $10 for a whole original cheesecake, with the other flavours: matcha red bean, matcha, and now chocolate only being a few dollars more. 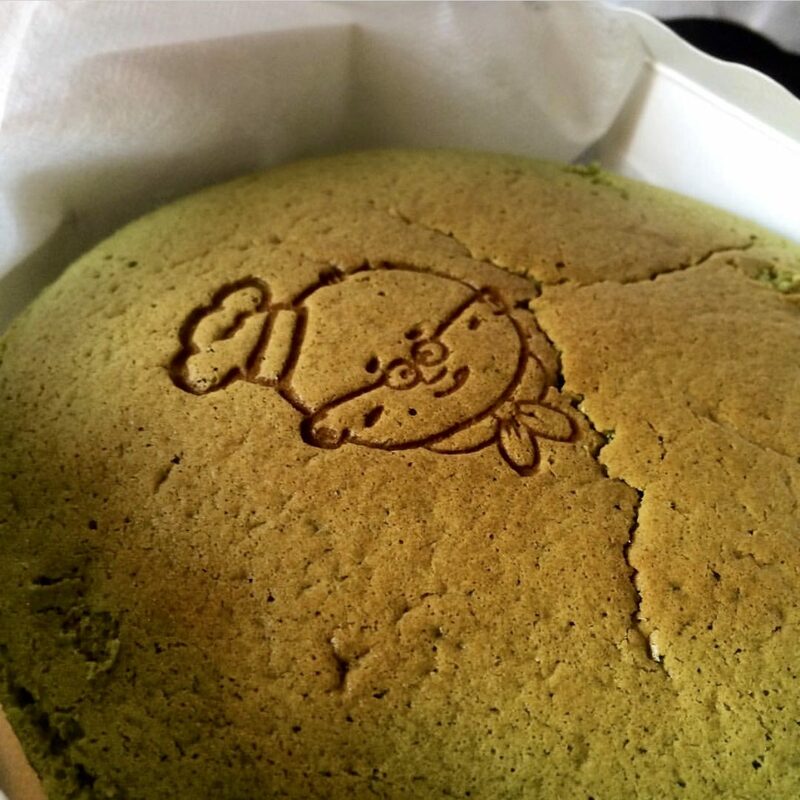 The cheesecake is fluffy, easy to share, and is best either really warm or super cold. A bakery and a soft serve ice cream spot? Yes please. 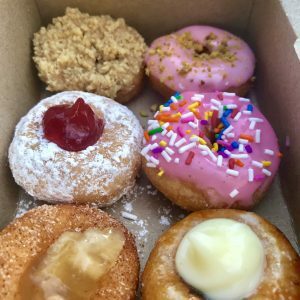 Butter Baker is six minutes away from campus at 120 Dundas Street West. 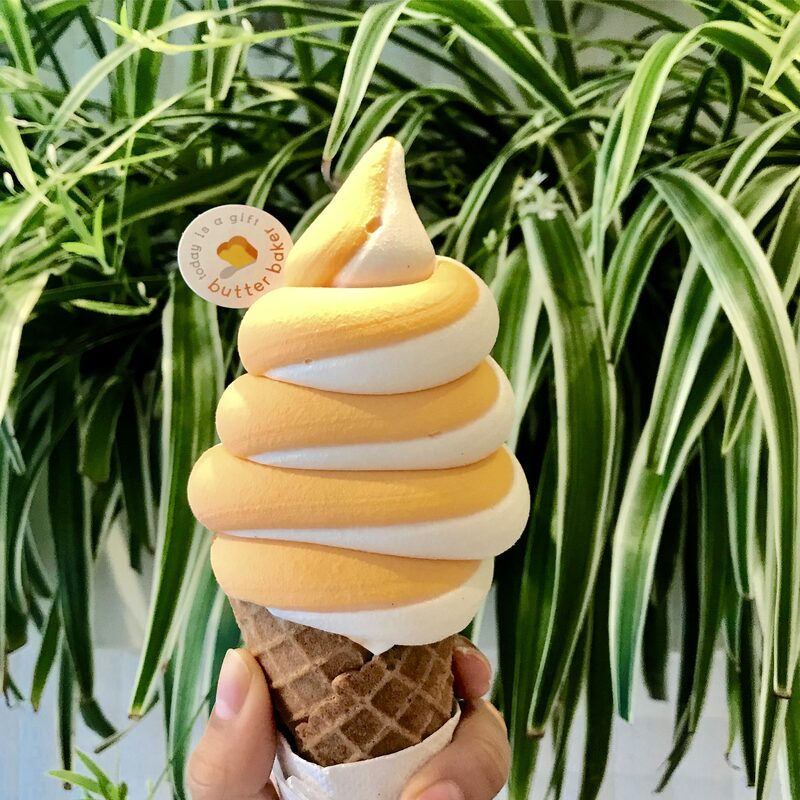 They have soft serve ice cream that occasionally changes flavours, pictured is the cantaloupe and vanilla twist, which was nice and light in taste. 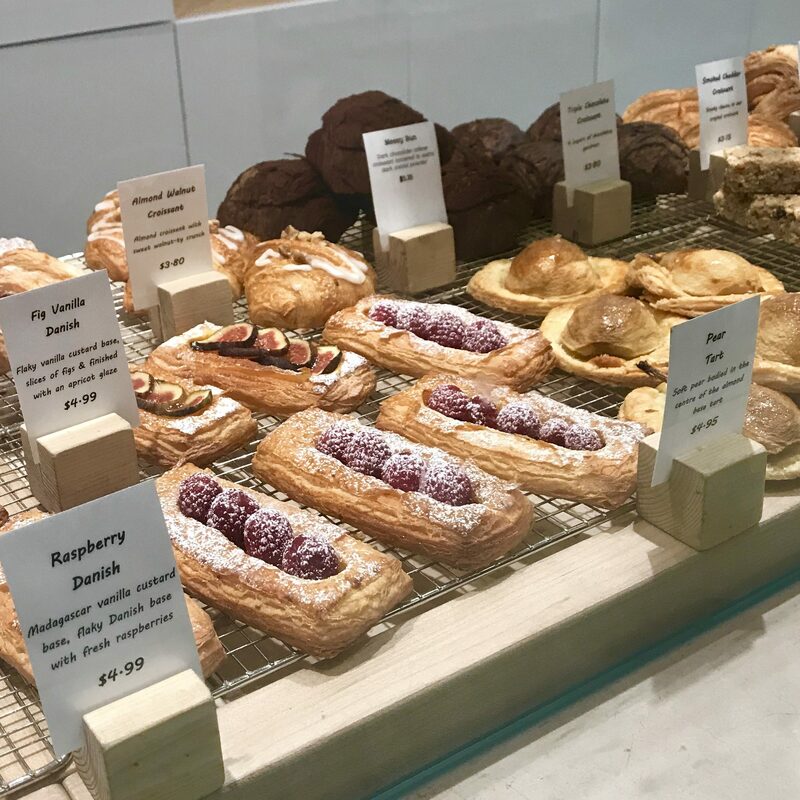 They also make a lot of pastries, the fig vanilla tart was flaky and had a lining of custard between layers. 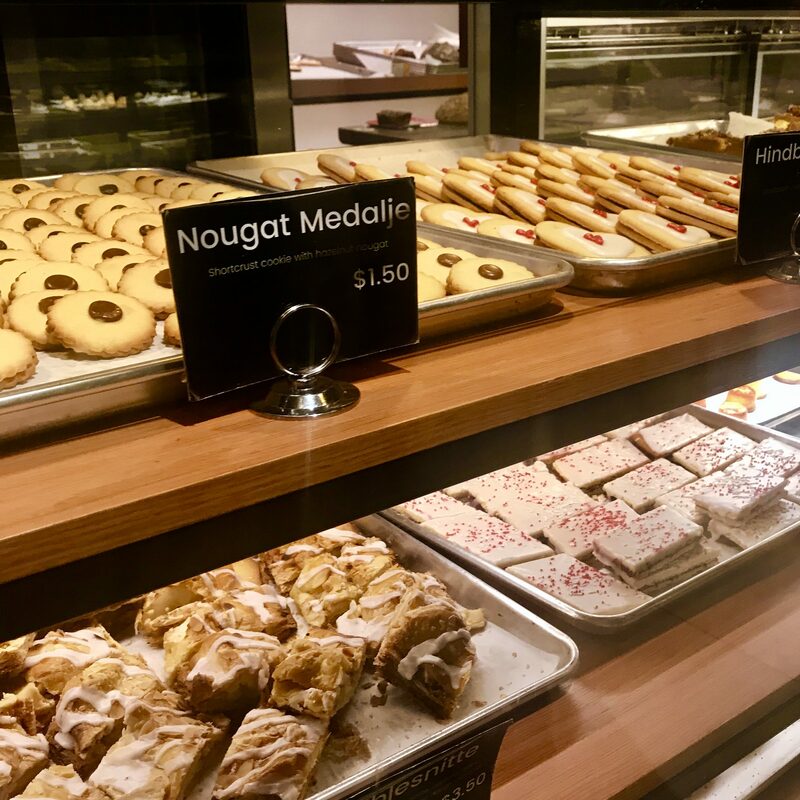 Butter Baker also has an assortment of delicious cookies with great flavour combinations, my favourite being the caramel banana cookie. It was around $8 for a cookie and a tart. 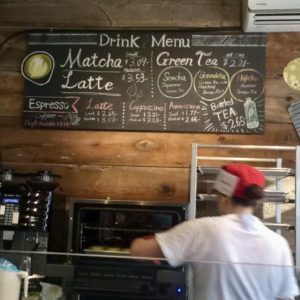 Walk six minutes from campus to arrive at Taiyaki NYC, at 128 Dundas Street West. 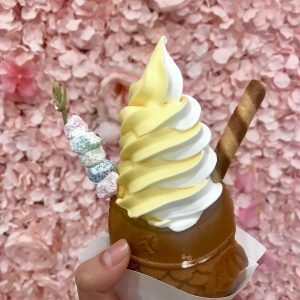 Get soft serve in sweet dough shaped like a fish, otherwise known as taiyaki. I tried “Mangonificent,” which is a vanilla and mango twist, in a custard taiyaki cone, with rainbow mochi, and a wafer stick ($8). 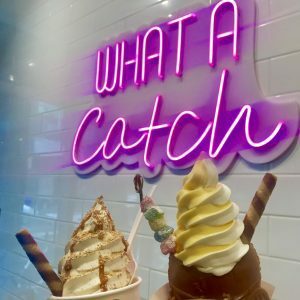 You can also build your own ice cream in a cup for $5. Pictured is vanilla soft serve, with a caramel drizzle, graham crumbs and a wafer stick. This soft serve also tasted really great, the mango flavour is vegan friendly! I found this one to be thicker than Butter Baker, making it have a more creamy aftertaste. 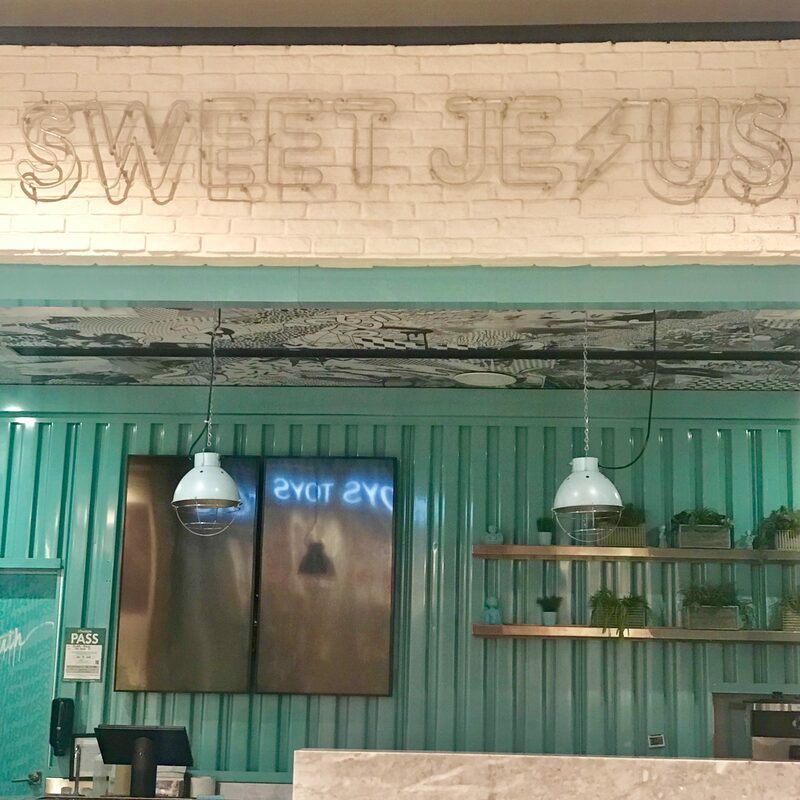 Sweet Jesus has been around for a while, but they have a new location in the Eaton Centre, on the first floor, close to Queen subway station, a seven minute walk from campus. 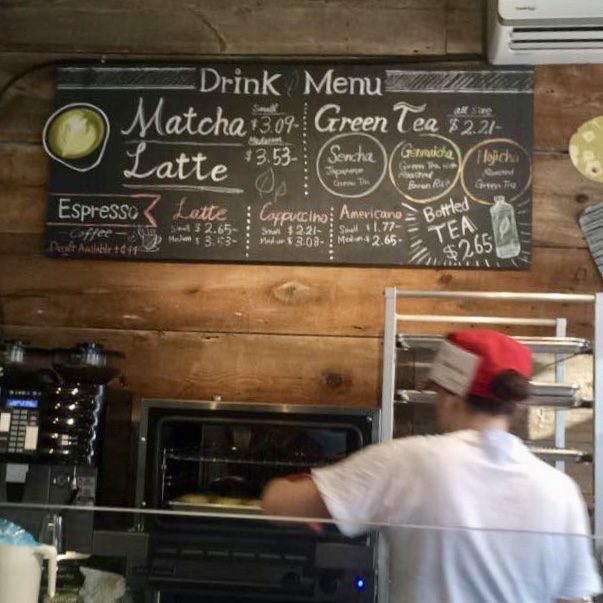 A small is $5.30 and a large is $6.85. 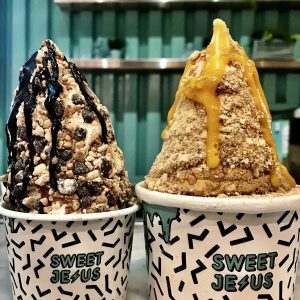 The large is too big for me, since the toppings are super flavourful and can get overwhelming after a while. 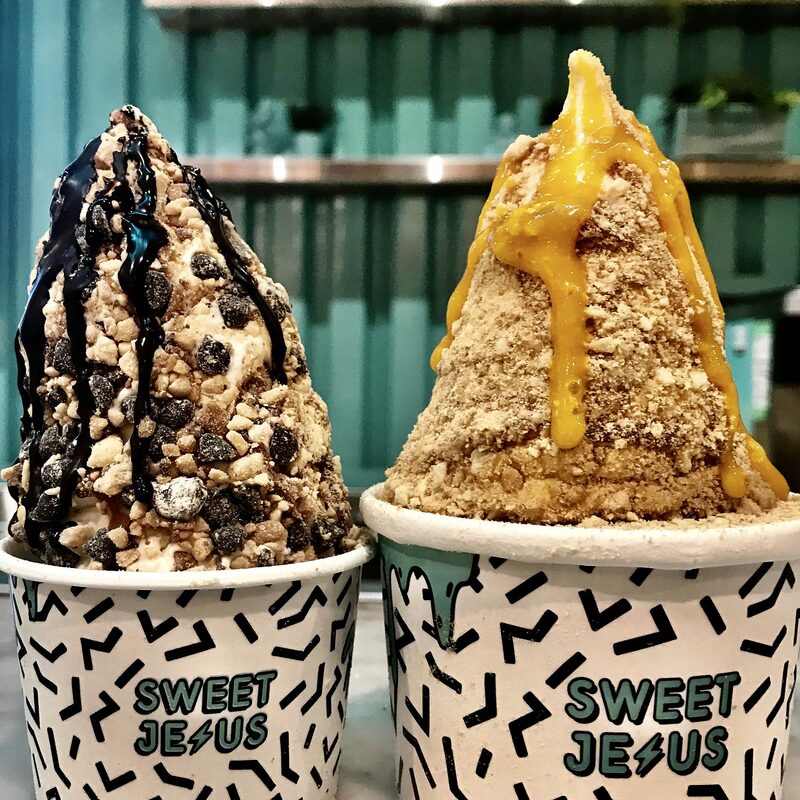 I tried the “Marry Me Mango,” which is a mango coconut twist, with caramel sauce, mango sauce, cashews, and graham crumbs. 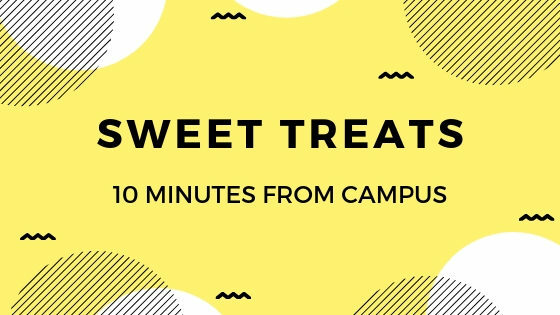 Unlike other Sweet Jesus combinations that sometimes feel like they sit in my stomach, this flavour tasted so much more refreshing. 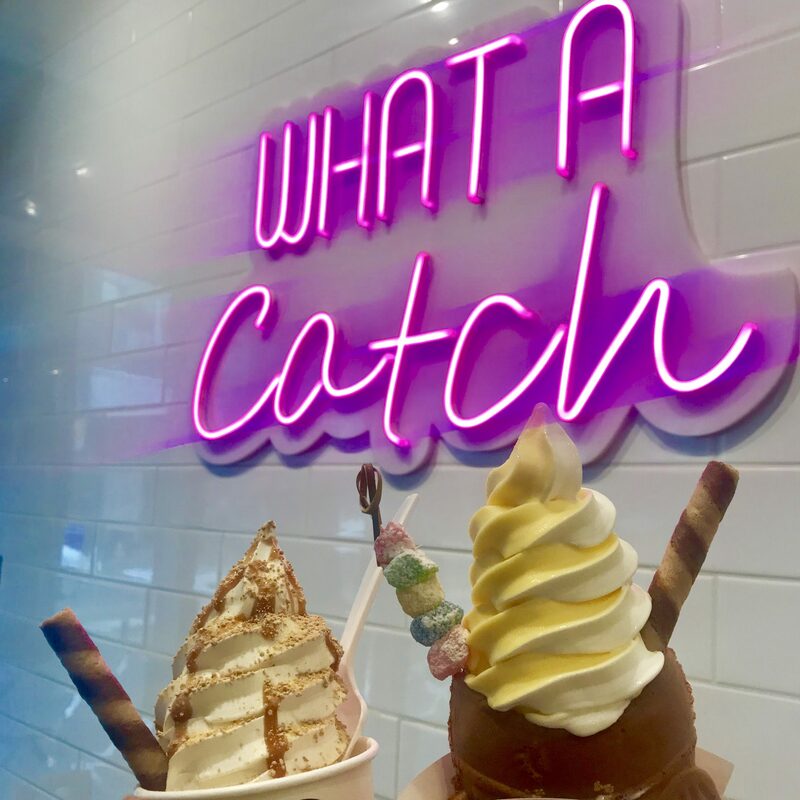 Beside it, is the “O’Hungry,” which is vanilla soft serve, peanut butter sauce, caramel sauce, chocolate peanut butter crumble, and chocolate sauce. 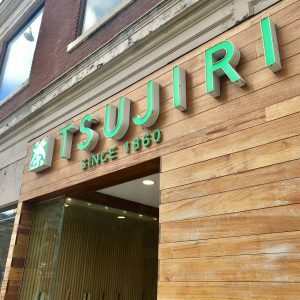 Tsujiri is located at 147 Dundas Street West, which is a seven minute walk from campus. Sold out of their signature sakura parfait, I tried the Shiratama parfait ($7.50) and enjoyed it much more than I thought I would. 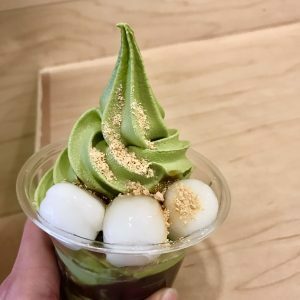 With roasted brown rice flavour, red bean paste, a matcha soft serve twist, and multiple shiratama balls, I never felt overpowered by the flavour of matcha and would definitely purchase it again. 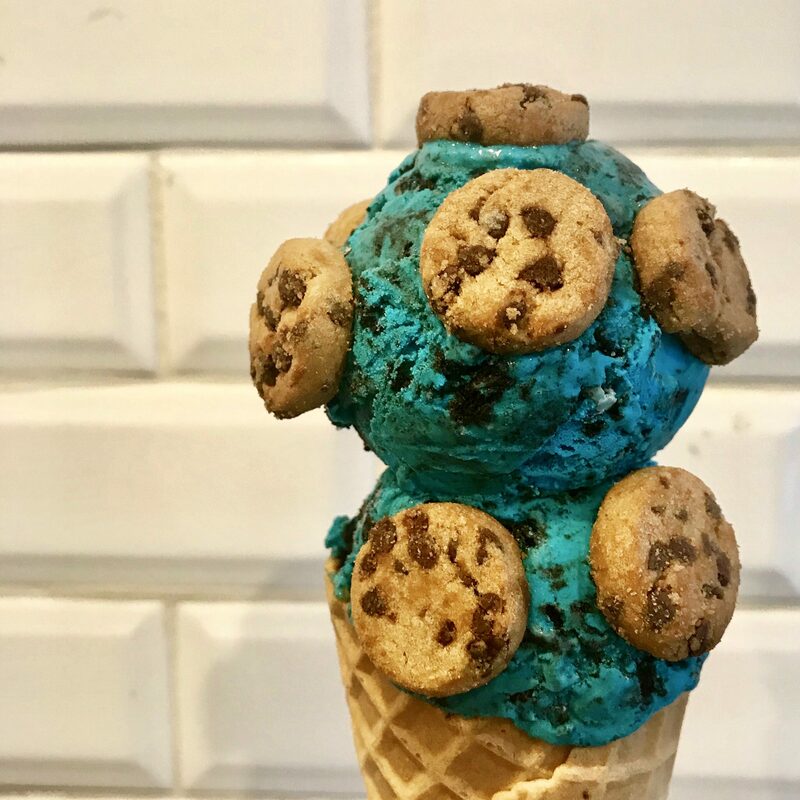 FUGO is known for its cookie monster ice cream, cookies and cream flavour in an oreo cone, with Chips Ahoy cookies topping it off. It has also started to make specialty mini doughnuts, $5.50 for 6 and there’s a large variety of flavours to choose: pistachio rose water, apple pie, custard filled, raspberry filled, Nutella, and more!